It seems as if people have been using names — and in some cases faces — to identify their company or products since companies and products were first invented. Sometimes the faces depicted are of real people that were somehow associated with the company or their products. In other cases, the person was fabricated. See if you can guess which of the logos below feature real people and which were pure marketing creations. 1. Buster Brown. Buster Brown, along with his sweetheart Mary Jane, and his dog Tige, were comic strip characters created in 1902 by Richard F. Outcault. In 1904, Outcault traveled to the St. Louis World’s Fair, selling licenses to up to 200 companies to use the Buster Brown characters to advertise their products ­— including the Brown Shoe Company. 2. Smith Brothers Cough Drops. James Smith bought a cough drop recipe from a peddler in 1852 and sold them out of his small restaurant. When he died, his two sons, William and Andrew inherited the business, and began manufacturing the cough drops on a larger scale. In fact, the brothers developed one of the first factory filled packages with trademark branding. Interestingly, on the packaging, the word “trade” appeared below one brother’s name and “mark” under the other. leading people to incorrectly assume that their names were Trade Smith and Mark Smith. 3. Little Debbie. In the 1960s, the founders of a baking company — O.D. and Ruth McKee —decided to name a product after one of their grandchildren, four-year-old Debbie. The original image of Debbie used on packaging and advertising was based on a black-and-white photo, although based on instructions from the founder, the little girl was made to look a little older. Minor changes were made to the logo in 1985 and again in 2013. 4. Cracker Jack. In 1896 the company F.W. Rueckheim & Bro., started by two immigrant brothers from Germany — Frederick William and Louis Rueckheim—developed the kernels of molasses-coated popcorn later named Cracker Jack. 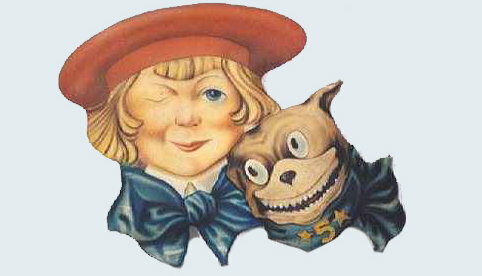 Sailor Jack and his dog Bingo were introduced as early as 1916. Sailor Jack was modeled after Frederick’s grandson, Robert Rueckheim. The dog was based on a real-life dog named Russell. 5. Sun-Maid Raisins. Lorraine Collett Petersen, the woman portrayed on the Sun-Maid raisin box was an employee of Sun Maid raisins. In 1915, the California Associated Raisin Company, had a booth at an International Exposition in San Francisco. They hired several young women, including Ms. Petersen, to wear white blouses, a thin kerchief, and a red bonnet, and walk around the fairgrounds passing out samples of their raisins, which they had named Sun-Maid. In the afternoon, Ms. Petersen flew overhead in a plane sprinkling raisins on the crowd below. Later, she was asked to pose for an illustration they were creating for their new packaging. She kept the red bonnet until 1976, when she presented it to the company, now called Sun-Diamond Growers of California. 6. Lipton’s Tea. Sir Thomas Lipton started Lipton Tea at the end of the nineteenth century. Lipton took the marketing skills he learned in America back to Scotland, where he was born, and started a grocery store. His grocery empire eventually grew to twenty stores. On his way to Australia one time, he stopped off in Ceylon. Disease had decimated Ceylon’s coffee industry that year, so plantation owners started growing tea instead. Lipton bought five bankrupt plantations so he could supply his own stores with tea. 7. Chef Boyardee. Chef Hector Boiardi was real and a fantastic cook. His brother got him a job as a waiter at the Plaza Hotel in New York, where he later became a chef. His sauce was so popular that patrons began asking for extra to take home with them. He eventually started canning the sauce and other products, changing the spelling of his name to make it easier for people to pronounce. 8. Uncle Ben’s. According to the maker of Uncle Ben’s, Uncle Ben is the composite of two people. The name comes from a black Texan farmer—known as Uncle Ben—who was well-known for the rice he grew. Since 1946, the image of an elderly African-American man dressed in a bow tie, is said to have been that of a Chicago maître d’hôtel named Frank Brown. 9. Betty Crocker. 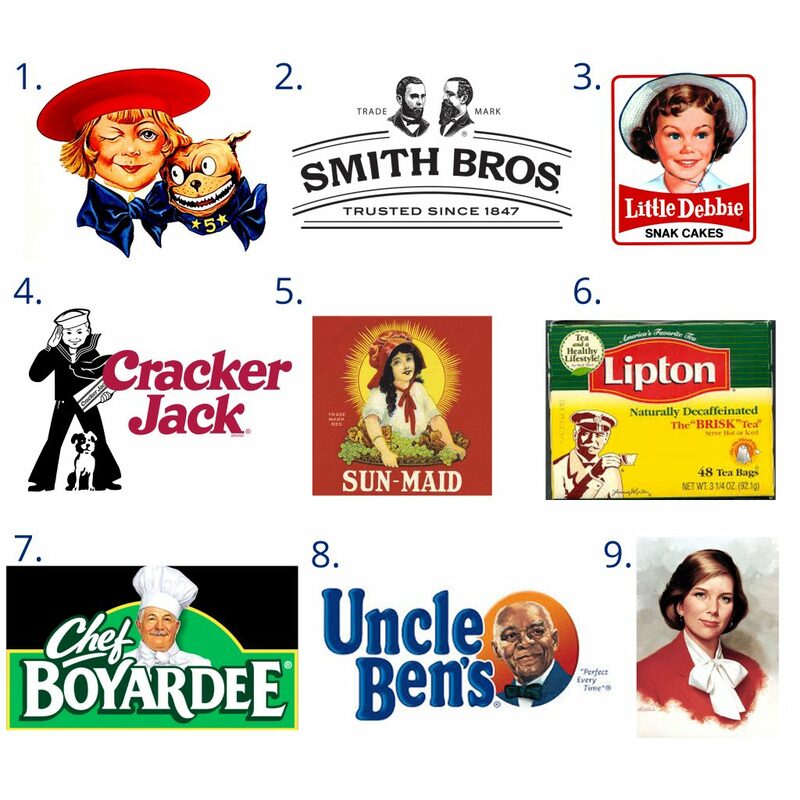 Betty Crocker was invented by the advertising department of Washburn Crosby, a milling company, as a way to give personalized responses to consumer product questions. The name Betty was selected because it was viewed as a cheery, All-American name. It was paired with the last name Crocker, in honor of William Crocker, a Washburn Crosby Company director.